Richard Leviton has become the pre-eminent authority on sacred sites and visionary geography. Through books such as Signs on the Earth, The Emerald Modem, and The Galaxy on Earth he has explored both the personal and universal aspects of our connection to the planet. Now he shows in Encyclopedia of Earth Myths how many of the oldest and most evocative of the world's myths contain a secret about the Earth. They tell something vital about its make-up and history and our long-standing human relation to it. 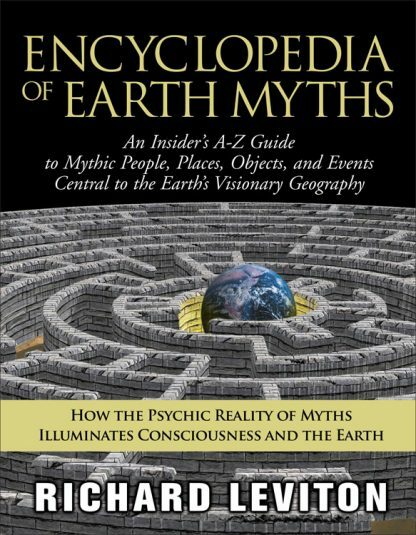 Encyclopedia of Earth Myths offers a unique blueprint for understanding world mythology. Carl Jung and Joseph Campbell tutored us in the psychological relevance of myths and the universality of their themes. Now Richard Leviton shows us how they reveal hidden clues about the Earth's spiritual landscape. Using clairvoyance and scholarship, Leviton examines 153 mythic topics in A�Z fashion drawn from 21 cultures to tease out their information about Earth's secret landscape. Each entry shows how something considered merely mythic--dragons, giants, the Minotaur, Holy Grail, Fountain of Youth, Golden Apples--actually decodes and illuminates the planet�s esoteric make-up. Whether it's African, Tibetan, Native American, Hindu, Peruvian, Egyptian, Greek, or one of 14 other cultures, myths of many cultures all point to the planet. It's as if clues about the Earth's visionary geography have been scattered in all cultures, awaiting our retrieval and decoding. Encyclopedia of Earth Myths is also a practical tutorial for a new subject: our Earth. But this is virtually a new planet we're being introduced to here. The result is an essential reference for anyone interested in world mythology who wants to look beyond the cloak of mythic symbolism and see the world anew.